Accurate packaging specifications enable any supply chain to function faster and effectively, while inaccurate specifications impact logistics, transportation, speed to market, responsiveness to recall/failure, etc. Specright’s CEO, Matthew Wright, will present how managing the DNA of Packaging Specs intelligently can drive cost reductions and business efficiencies. Accurate packaging specifications enable any supply chain to function faster and effectively, while inaccurate specifications impact logistics, transportation, speed to market, responsiveness to recall/failure, etc. Specright’s CEO, Matthew Wright, will be presenting how codifying packaging specifications can help drive cost reductions/efficiency across your value chain. Visit Specright at PackExpo International at booth E-9632 in the Lakeside Lower Level and discover how our customers get double digit percentage savings on their packaging bids, along with a 50% decrease in their bid preparation timing. Use our Comp Code: 18T87 and save $30 on your registration fee! Click the button below to set up a time to meet with us at the show. 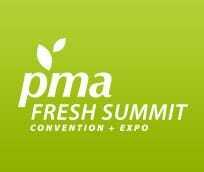 Join Specright at PMA Tech Knowledge where you’ll learn more about how Specright’s cloud-based technology is changing the way the produce and floral industries do business. Come see us in the Learning Lounge and see how your company can reduce packaging costs and increase profits. 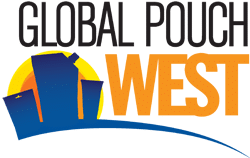 The Cal Poly Packaging Program will be hosting a two day seminar highlighting the latest innovations in packaging, logistics, and food safety. Visit FreshPACKmoves to listen to Specright’s CEO, Matthew Wright, along with Walmart’s Curt Rutledge talk about new innovations in packaging and supply chain. Specright will be presenting our technology and services at a Tech Talk at the Western Growers Center for Innovation & Technology in Salinas, CA. As one of the newest residents of the Innovation Center, this is our introduction to the WGA community. The event will be streamed via webinar for those who cannot attend. We encourage all members to participate and learn more about how Specright will contribute to the AgTech revolution. The Salinas Valley Agricultural Technology Summit is hosted by the Agricultural Business and Technology Institute at Hartnell College in collaboration with the Monterey Bay Chapter of the CA Association of Pest Control Advisors (CAPCA). Specright will be presenting as one of the newest startups to emerge in the AgTech industry. Connect with us at booth #5603. 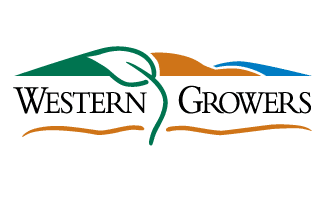 Western Growers, founded in 1926, is a trade association of California, Arizona and Colorado farmers who grow, pack and ship almost 50% of our nation’s produce. Our mission is to enhance the competitiveness and profitability of our members. We accomplish this by providing products and services with agriculture in mind. Our services include ACA compliant health benefits for farm workers, cost-saving and environmentally-focused logistics, food safety initiatives and advocacy for our members. If you enjoy fruits, vegetables and nuts, support our members and the produce industry. For end users and suppliers from around the world, the PACK EXPO name stands for a wide range of processing and packaging innovations for every vertical market.